When it comes to career building, networking is an essential component to not only forming profitable connections, but also developing critical job skills. A major facet of networking—and one that is critical to career development—is that of mentorships. Mentorships are extremely helpful to budding professionals, whether they gain guidance from a professor, a supervisor or a boss. But mentorships are not just helpful to those who are learning the ins and outs of a career; those who actually provide the guidance have a lot to gain as well. Mentors have the capacity to learn from younger professionals, and it can be an excellent experience to stay tuned in to new trends within an industry. Mentoring is also a great way to help contribute positively to one’s industry, by sharing experiences and tough lessons learned throughout one’s career. If you have led another professional as part of your job—such as a CEO mentoring an entry-level employee—there may be room to include this within your previous work experience. Individuals who make it a habit to mentor budding professionals have the opportunity to address this experience as “leadership” or “career development.” If the mentorship did not take part of your day-to-day job duties, however, you will probably need to find another place to put this experience. As we have noted in previous entries, volunteering can be a great way to boost a resume and showcase personality and skills that may not always be apparent in the “work experience” section of a resume. For some veteran professionals, mentoring can be part of a greater community service effort. 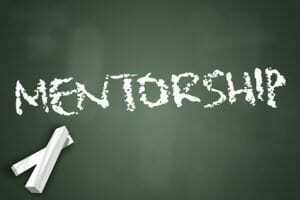 For instance, many mentors volunteer to guide struggling professionals to become entrepreneurs. If you have taken time to serve as a mentor through a specific volunteer organization, it is worth putting this experience under a community service category on a resume. Make sure to note how your guidance helped transform mentorees, as these details will help underline your true potential for leadership. Some mentoring experiences may not necessarily fit on a resume, but still prove incredibly valuable to one’s job search. If you feel that your presence as a mentor is relevant to a job you are applying for, but the experience is not appropriate for a resume, try referencing it in your cover letter. Since cover letters provide job seekers with an opportunity to express certain personal traits, mentoring experiences are a great fit for these formal introductions. Mentioning mentorships is extremely important in cover letters, particularly for professionals who may be applying for management, training or other leadership positions. While it can be challenging to figure out where to put a mentorship on a resume—or cover letter—it can also be a struggle unifying this experience with other work history and job skill descriptions. If you have the skills and experience and are lost on where to put them—do not worry! Chic Resumes has a trained staff of professional resume writers that know where certain experiences fit—and do not fit—within a CV or cover letter. After having a one-on-one consultation with the job seeker, our resume writers will draft a seamless document to fit the specific goals of your career search. Contact us today at (803) 831-7444 or resumewriting@grammarchic.net to have our professionals guide you through the resume and cover letter writing process!